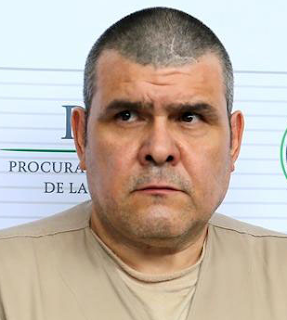 Jorge Equardo Costilla-Sanchez, 46, a former head of one of the world’s largest drug trafficking cartels faces life in prison after pleading guilty to nearly two decades’ worth of crimes. 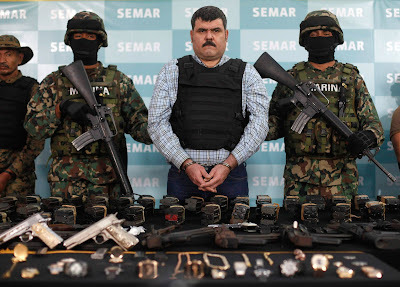 Costilla-Sanchez was the head of the Gulf Cartel between 2003 and 2012, when he was arrested by the Mexican Navy. The FBI was at the time offering a $5 million reward for his capture. He was later extradited to the United States. Prosecutors said Costilla-Sanchez was an integral part of the Gulf Cartel's drug smuggling and money laundering operations dating as far back as 1998. 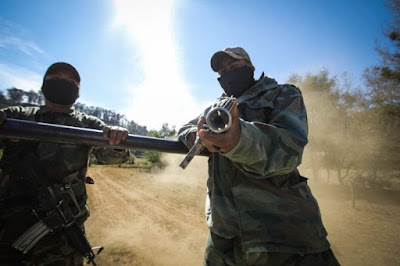 Costilla oversaw the drug gang amid a violent, brutal conflict with its armed branch, the Zetas, whose splintering to form a new cartel in 2010 has significantly weakened the Gulf Cartel. 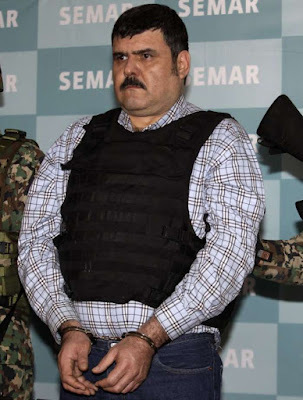 Also known as 'El Coss' he is believed to have joined the cartel in the mid 1990s, rising from a sicario — hitman — to the leader of an international drug, murder and extortion ring worth billions. Costillaz's sentencing had been set for January 4th, but the hearing in the Southern District Court of Texas was rescheduled until April at the request of his defence.